There are some very surprising facts about credit scores that most of the public does not know about. It is hard to fault someone for this, so much of what goes into a credit score is in fact very mysterious to the general public. The following surprising facts about credit scores are worth knowing. There is a correlation between credit scores and marriage. It turns out that the more closely matched two people’s credit scores are to one another, the more likely their marriage is to last. When there is a big mismatch, it is often a sign of trouble to come. In some ways this makes perfect sense. After all, if there is a big mismatch in scores, it probably means that one person in the marriage is having financial difficulties. That can bring a lot of strain into the marriage, and this in turn can lead to the marriage falling apart altogether. It can feel as though credit scores have always been with us, but that is not really true. In fact, credit scores turn out to be a rather new invention as far as financial instruments are concerned. They only came around starting in the 1950s according to USA Today. Before that time, the ability to get credit was largely subjective. A banker would meet with you in person, and you had to try to convince that person that you were worthy of their credit. This was a highly subjective system which allowed for those with favorable personalities to come out ahead. Plenty of people got credit who probably did not deserve it. At the same time, there were some who were likely denied credit when they in fact deserved to get it. If you are worried that a potential employer will see your credit score, the good news for you is that those worries are probably unfounded. They may request what is known as a credit report on you before making a hiring decision. However, this report is different from a credit score. Also, in some states, an employer is not permitted to make a hiring decision based on the credit report that they get. A person who is currently looking for work probably does not have anything to fear in terms of their credit disqualifying them. 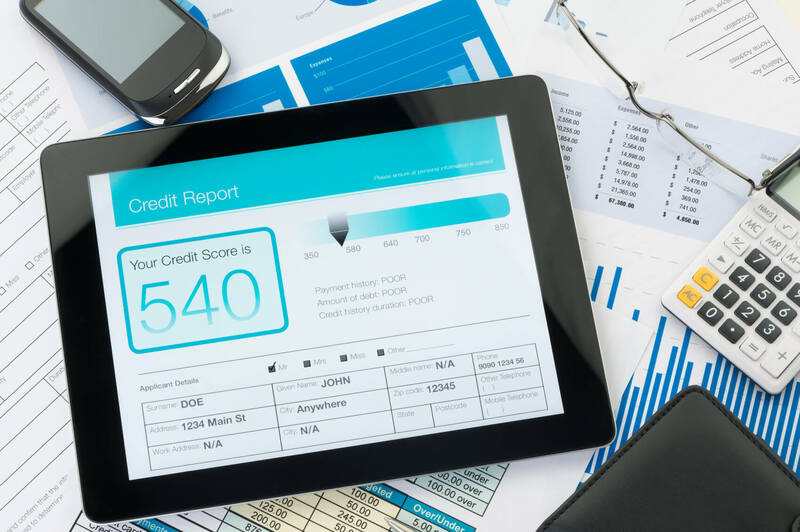 The credit report that potential employers can see does give them a bit of a picture about your finances, but it is a far cry from having a total credit score on you. What is the big deal about a library fee? It usually comes out to just ten cents or so per day, and this leaves many people wondering what the big deal is about these fees. However, they are probably worth tackling as soon as possible. The reality is that such fees can actually be reported to collection agencies if they remain unpaid long enough. Mental Floss reports how this small little fee can actually start to chew away at your credit score. Something as cheap as a little library fee should not be something that any person is taking a hit on the credit over, but the person who ignores it long enough may well face this issue. Credit scores are often viewed as the way to borrow the kind of money necessary to afford the big purchases in life such as a home or car. However, it is still possible to get a mortgage even without the benefit of having a credit score attached to your name. The borrower will need to be prepared to fork over a larger downpayment, but it is possible to make it happen. To pull this off, the borrower will have to have plenty of documentation on them that shows that they are able to afford the monthly payments. Any good examples of successful borrowing in the past is also helpful. Basically, the lender just wants to ensure that they will receive their money back with interest. The credit score usually gives them some idea about if this will happen or not. Lacking that, they have to rely on other financial documentation to figure it out. Just because one can borrow a certain amount of money does not mean that they should. Experts recommend keeping the debt utilization number at thirty percent or below. This means that of the available credit that a person has, they should only use thirty percent or less of it. A higher amount of usage than that runs the risk of taking a hit to the credit score. The FICO credit score draws on a number of factors in its calculation. However, one of the most important things it looks at is how much credit the individual is currently using. Minimizing the usage is critical to having a better credit score. Moving all of one’s credit card debt onto one card means fewer payments in a given month. However, it also means that one will have a higher credit card utilization. That in turn may lower the credit score that a person has. It something that definitely looks tempting on its face, but resist the urge to put debt on one card if at all possible. There are gimmicks offered by all kinds of credit cards. They exist to try to lure people in to accept the credit card offer. However, the person who does that may be ensnaring themselves in a trap at the end of the day. Things like “teaser rates” and “rewards points” are a great way to get a person to accept a credit card, but they may also have that person running up more debt than they ever intended to.